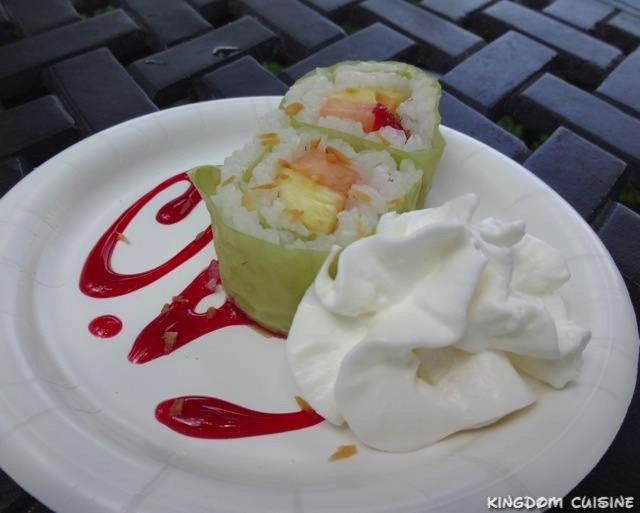 Found in Japan’s pavilion “Hanami” during the Food and Wine Festival is a delicious fruit sushi called Frushi. This delicious summer-time sushi is a great way to beat the heat with some fresh fruit and a nice cold drink! The frushi includes strawberries, cantaloupe and pineapple. This is a nice and easy recipe to Disneyfy any summer snack or meal! Let sushi rice cool slightly; stir in cream of coconut. Set aside to cool to room temperature. Lay 1 soy wrapper on a flat surface. Place about 1/4 cup sushi rice on the soy wrapper, pressing with moistened fingers to cover the whole sheet. Place 1 piece each of pineapple and cantaloupe and 4 pieces of strawberry in the center of the rice-covered sheet. Starting at one end, fold about one third of the roll up, then roll the sheet into a cylinder, keeping fruit in the middle. Moisten soy wrapper to seal. Cut into 4 equal pieces. Repeat with remaining ingredients. 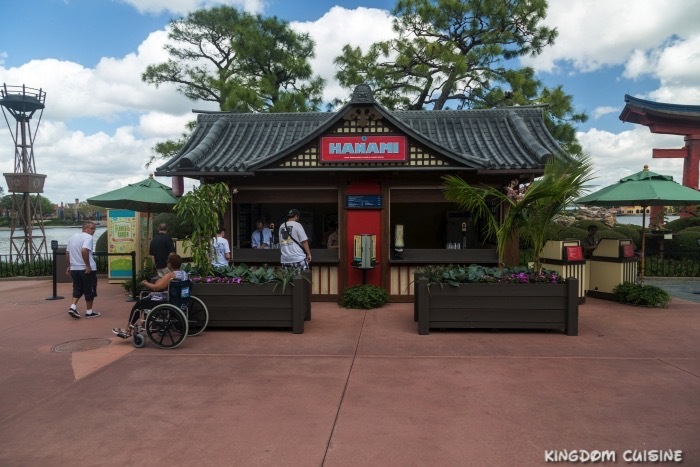 If you are looking to add a touch of Disney to your snacks this summer, give this frushi recipe a try! This is a simple, and delicious way to have a light but tasty snack from the heart of the Food and Wine Festival!